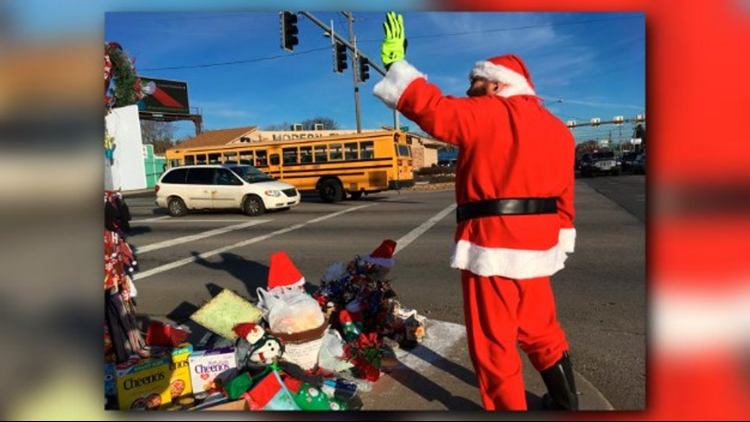 In the past few days, others have added lights, candy canes and glass ornaments — leaving little of the weed visible — while surrounding it with canned goods, blankets, clothes and wrapped gifts. A dead potted plant draped with Santa hats and bows has been added to the collection. At some point over the past few days, someone apparently ripped off the top of the weed, but that didn’t dampen the good cheer. Of course, there have been jokes about whether the weed might be the variety that could get you arrested in Ohio, and there’s a Facebook page dedicated to daily updates. So many donations have been pouring in that the city brought in bins on Wednesday to handle the overflow and warned people to be careful while stopping at the busy intersection. All of the contributions, the city said, will be given to local charities.